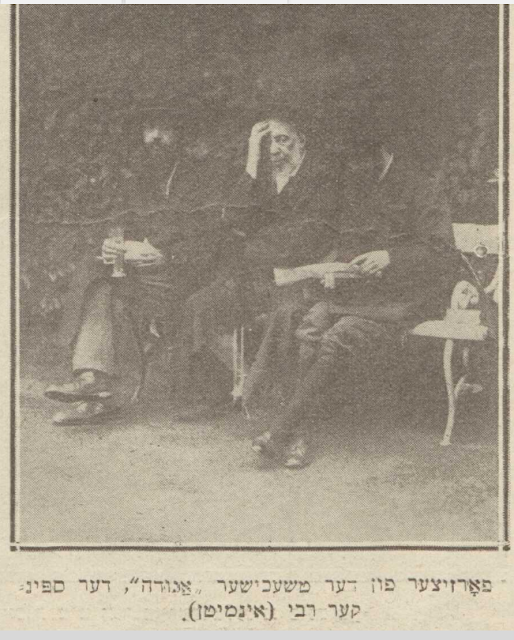 The Spinker Rebbe conducted a brief and fragmentary correspondence with George V of the United Kingdom, who sent him a letter during his illness (circa 1929), and the rabbi responded to him and asked for support for his yeshivah, although he did not respond. The king sent another letter, but died before the letter of response was written, he also sent a greeting to the president of the United States, Franklin Delano Roosevelt, and He sent him a letter of thanks. *Henry Shonberger, What Saved the King: an Account of the Miraculous Recovery of His Majesty King George V of England. Anglo-American Book Institution of America.